Landed here first? Read part 1 of the blog post series to learn about The Elephant Camp and start at the beginning! 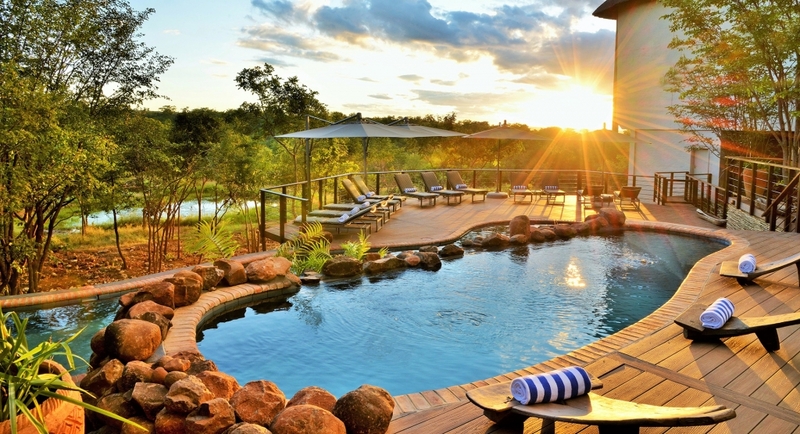 Next stop from Old Drift Lodge were the Africa Albida Properties: Victoria Falls Safari Lodge, Club & Suites. 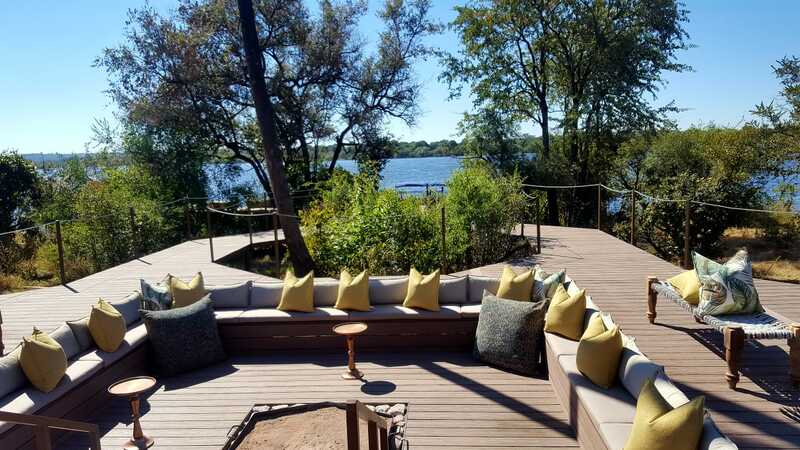 We were exceptionally excited to see the new Safari Club and Safari Suites, the latest additions to the Africa Albida collection, and get a feel for any other new developments. 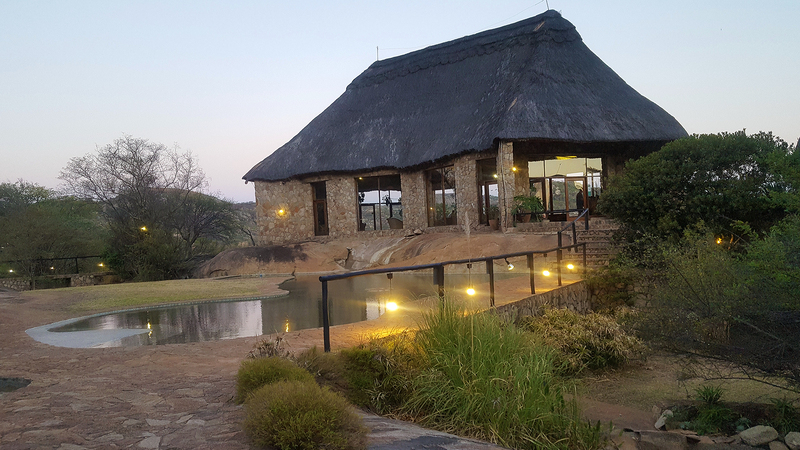 We unfortunately did not get to see any of the rooms at Victoria Falls Safari Lodge as it was full – busy with groups and guests! The area was vibrating with guests enjoying their afternoon meals. The view from the terrace where meals are served is phenomenal. 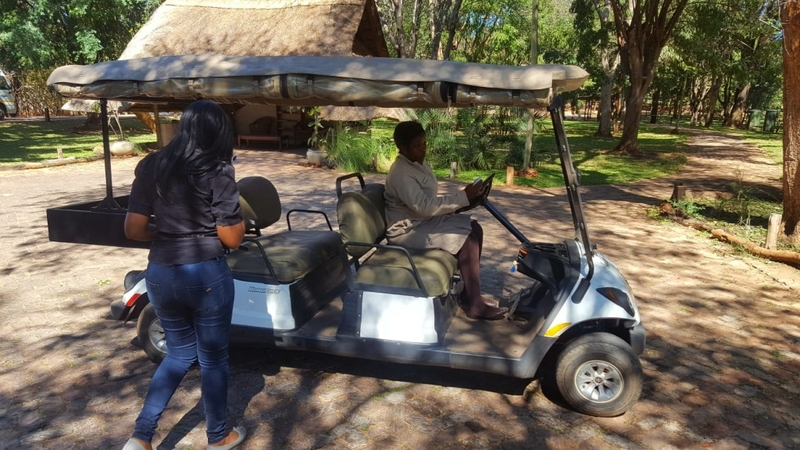 The Lodge has a golf cart used to transport guests in need of a drive to the Suites and the Club – even we got to a ride on this one! 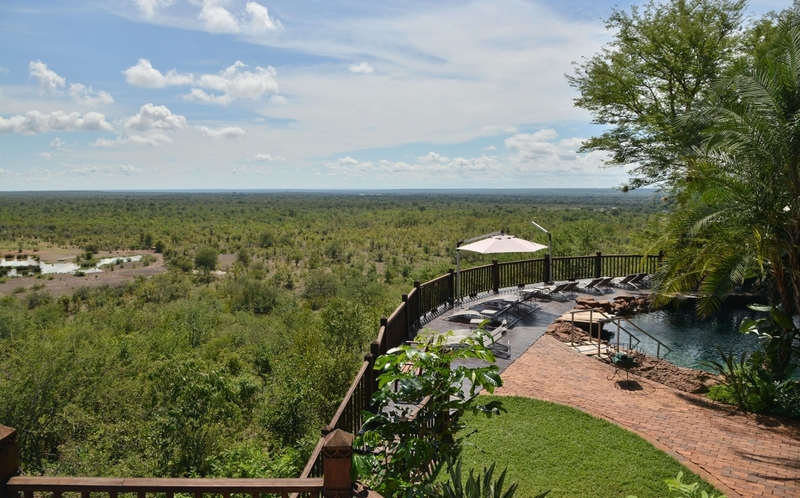 The Victoria Falls Safari Suites count only 6 suites in total. These exclusive accommodations are booked on a Bed & Breakfast Basis. In addition, the rooms have a tea and coffee station, a complimentary minibar and a microwave, should guests want to warm any meals. 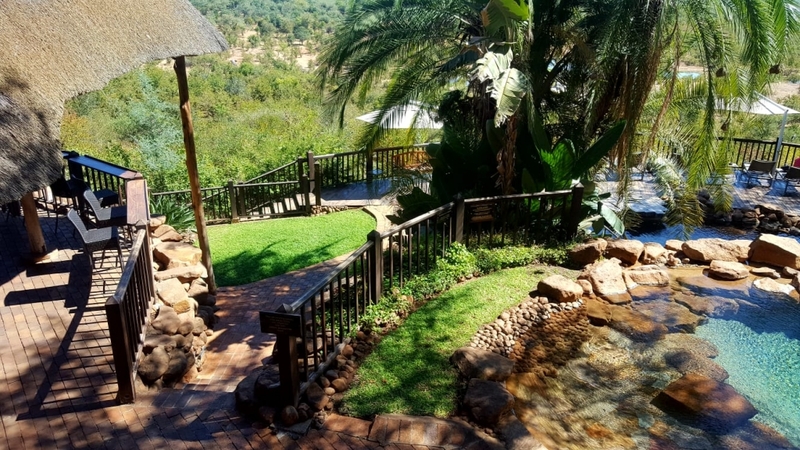 There are 4 two-bedroomed lodges and 2 three-bedroomed lodges, which work very well for families. Breakfast is served in the MaKuwa-Kuwa Restaurant, but on request, a continental breakfast can be delivered to your suite. 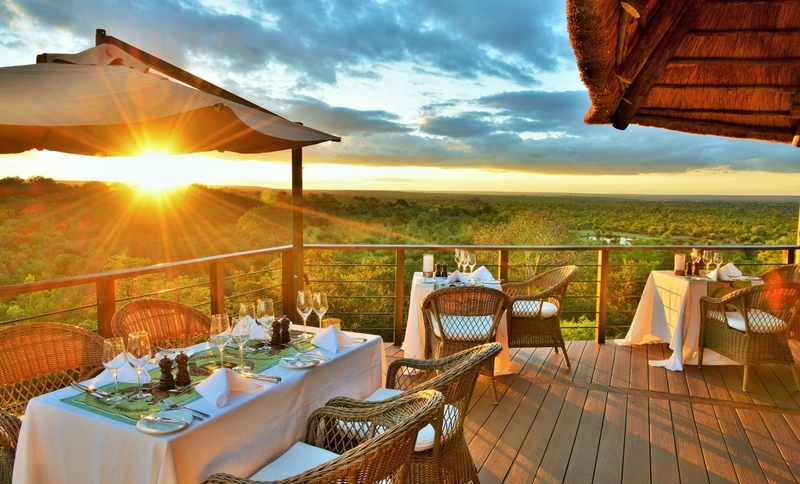 Guests can go to the Safari Lodge should they want to have lunch or dinner there. The walk is about five minutes to the main lodge, which is very convenient. 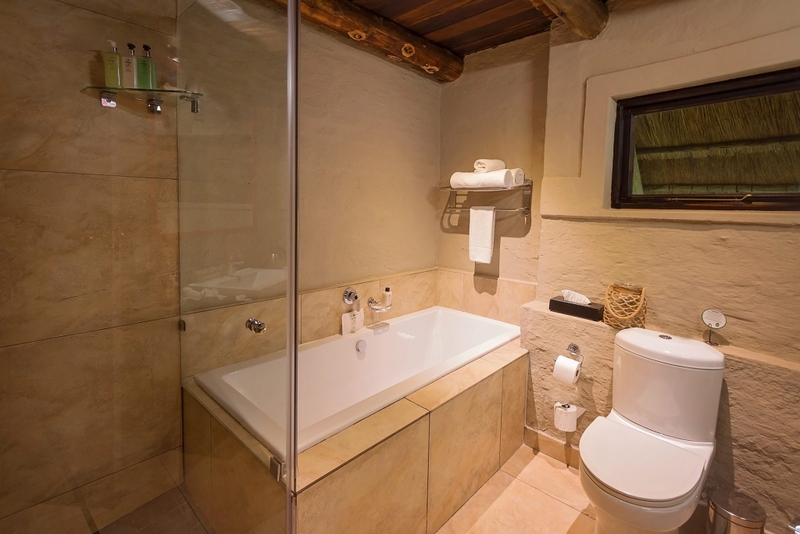 What sets the Victoria Falls Safari Suites apart is that they are focusing on private service: personal check-in and host service is offered at no extra cost. 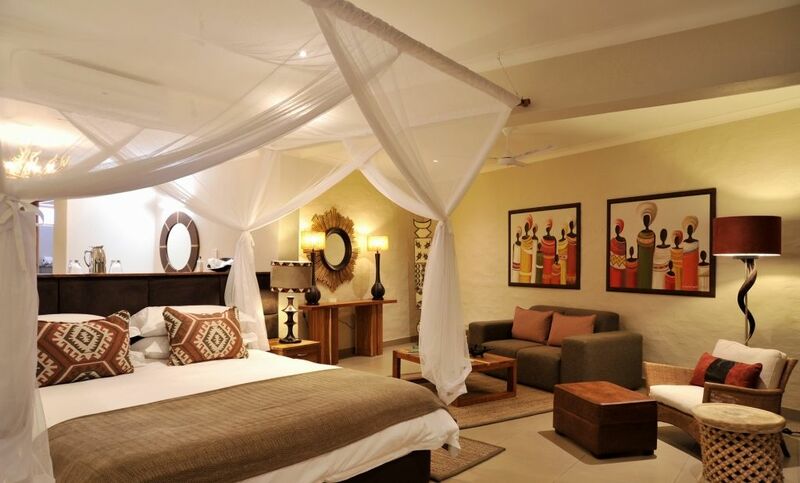 The Victoria Falls Safari Club is the most luxurious part of the Africa Albida properties – on the five-star level. 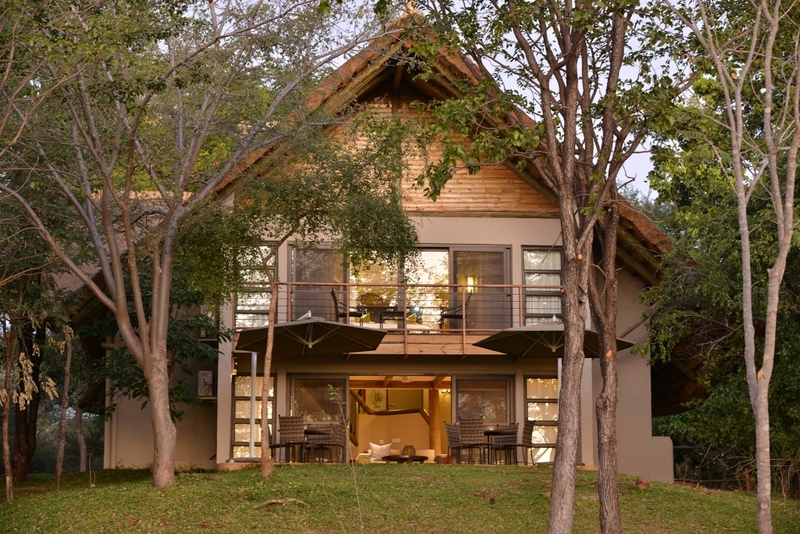 The club is located on the far western side from the main lodge and has 20 rooms (16 Club Rooms and 4 Club Suites). 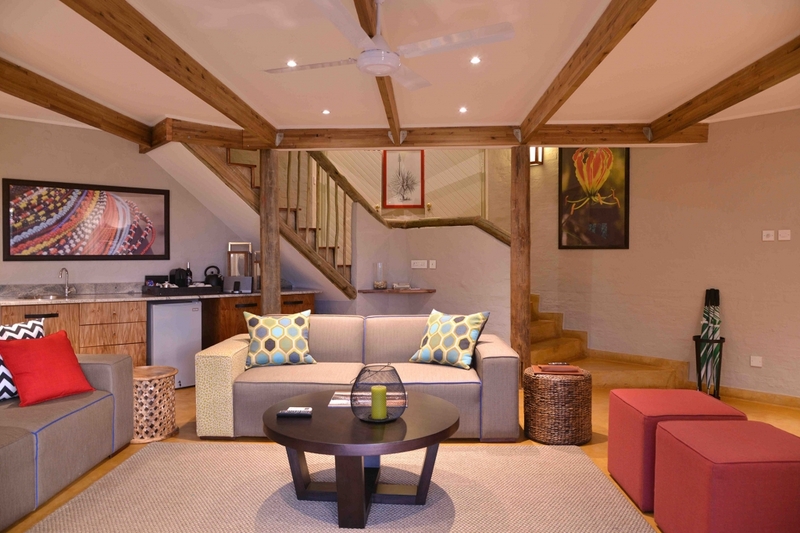 The suites come with a tea and Nespresso coffee station, luxury beds, with beautiful views and very colourful furnishings. 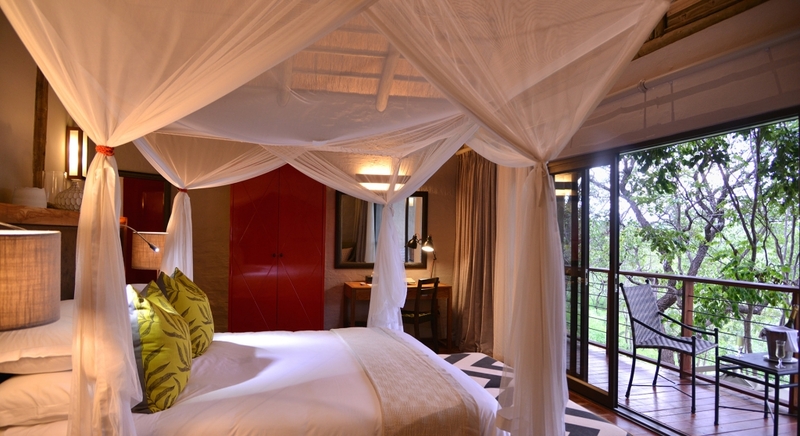 Only guests staying at the Safari Club have access to the dining/lounge area. 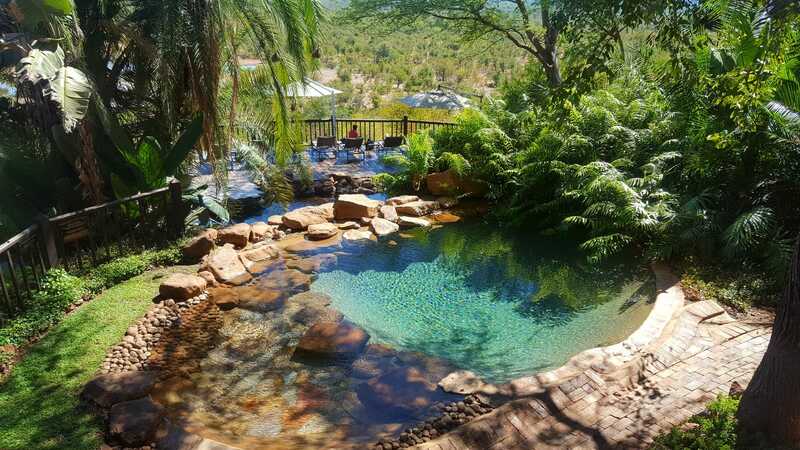 Residents from the surrounding lodges cannot come to have lunch or dinner there – this is exclusively for use by the club guests. In the near future, a gym and spa will also be opened for the club guests. 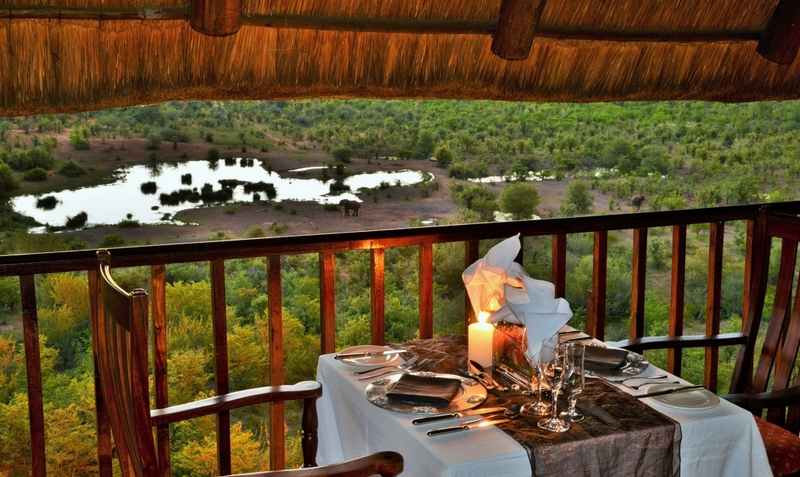 In addition, club guests’ breakfast is served in the own Safari Club lounge and not in the MaKuwa-Kuwa Restaurant. 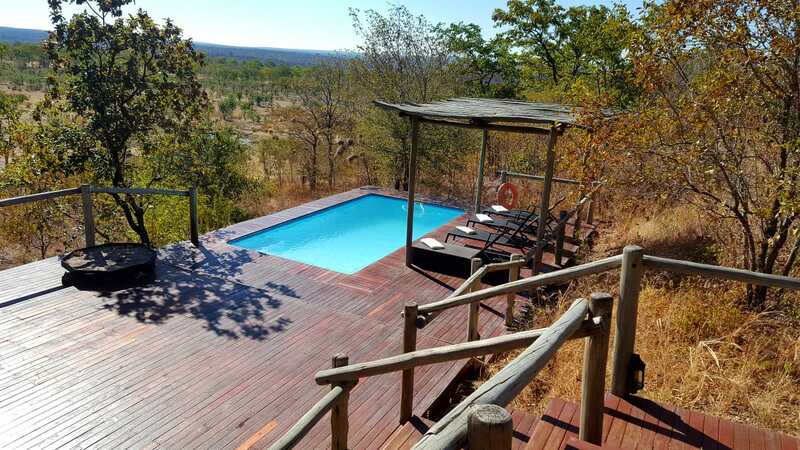 Also included in the daily rate are the afternoon tea and pastries served in the Safari Club lounge as well as the sundowner cocktails and canapés served on the viewing deck. To round it off, there are complimentary head & shoulder or foot massages on the viewing deck, during afternoon tea. 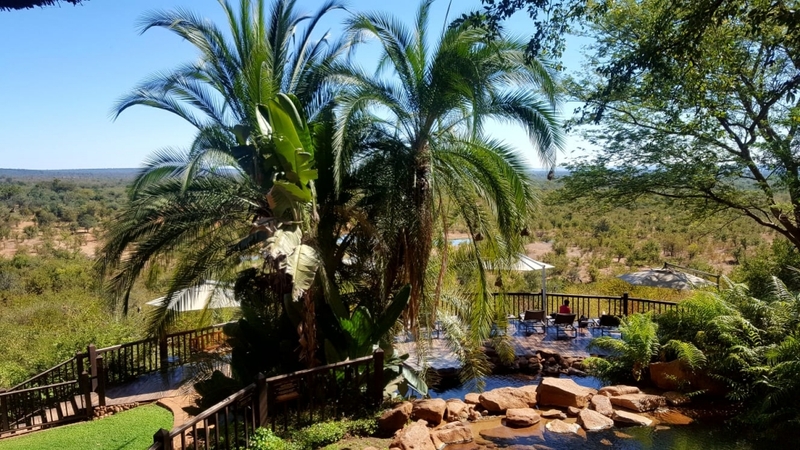 Just as we finished our visit at the Victoria Falls Safari Club Suites and the Victoria Falls Safari Club it was 1pm and we were right in time for the ‘Vulture Culture Restaurant’ which we thoroughly enjoyed. 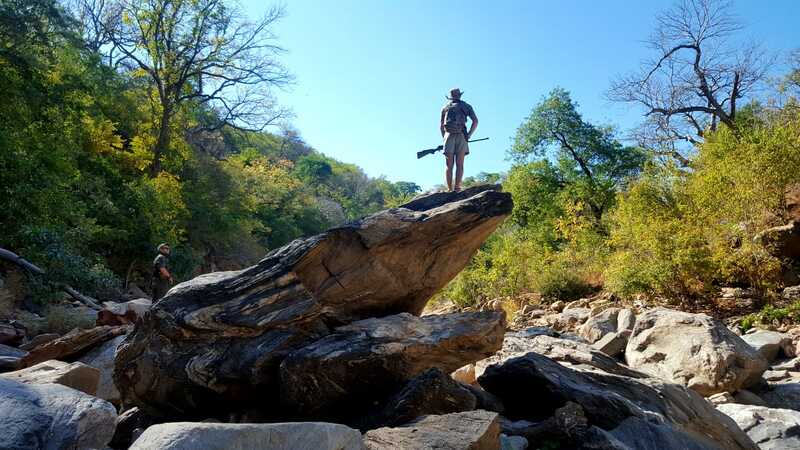 The experience is basically learning more about the vultures: there is a short introduction from the guide at the Victoria Falls lodge before he heads down to the feeding place (towards the waterhole in front of the hotel), where he feeds the vultures. The food consists of the leftovers from the hotel from the previous day. The talk is to educate everyone interested and giving awareness on their preservation and why they are being fed. Next time you are in Victoria Falls, do go to Victoria Falls Safari Lodge at lunchtime to learn and in turn create more awareness with friends and family for this endangered species. 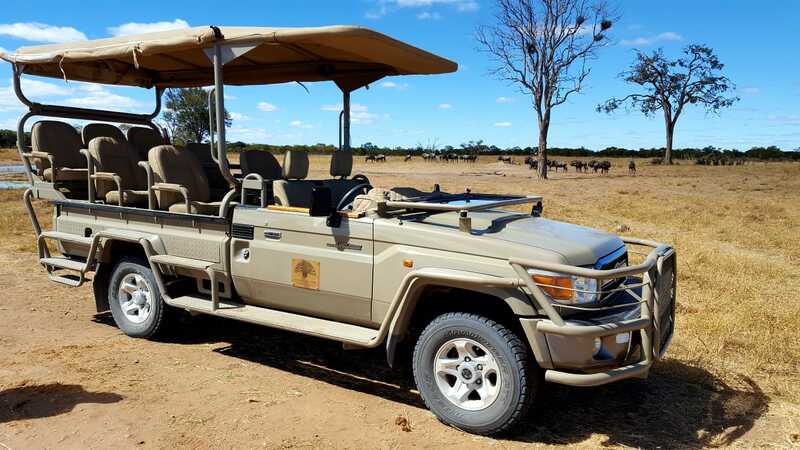 This concludes our 3 part blog series for this time, but we have many more tips… Get in touch with us and let us know what YOUR dream safari needs to contain, and we will plan your dream trip together! We look forward to welcoming you to Zimbabwe! Images © The Safari Source (exterior shots at the start), the rest: © Africa Albida.